Twelve years ago, I sat down at my computer, opened Blogger, and created an account. Little did I know where that impulsive decision would take me over the next dozen years! Today, my blog has connected me with many amazing moms and given me opportunity to travel and work with great brands, while providing a part-time income for my family and a creative outlet for me. 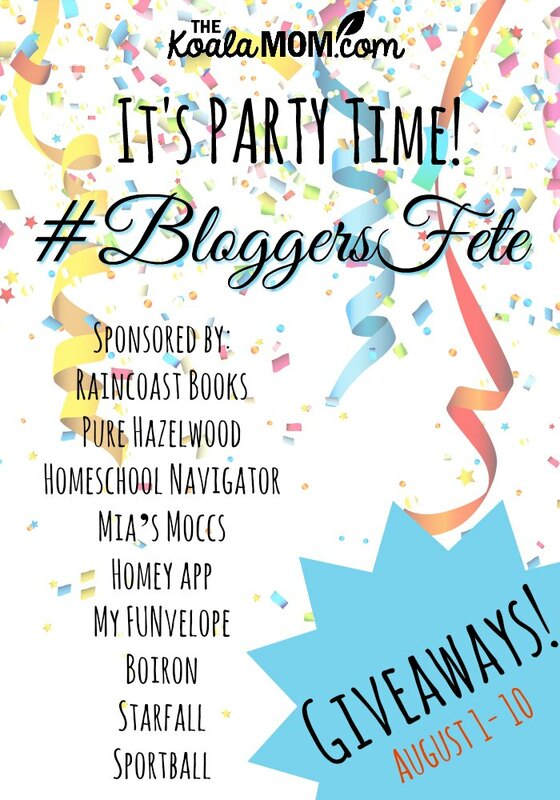 For the next ten days, I’ll be celebrating all of that with five other bloggers in our annual online party, BloggersFete!!! drop by Instagram tomorrow to enter our loop giveaway for a chance to win a Breville Pro Mixer OR a Fujifilm camera with film and watch for our cash loop giveaway coming up on August 5th! 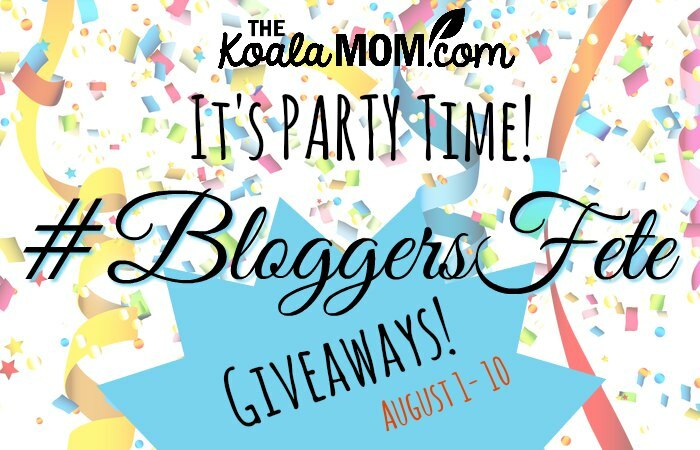 join us on August 10th on Facebook for more great giveaways! What would a party be like without some great prizes to win? Think of these giveaways like the door prizes! Just use the Rafflecopter forms below to enter to win each prize. But don’t stop here—join us at the party on Facebook on August 10th!!! All prizes are provided by the sponsors and will be shipped by them. The host bloggers are not responsible for prizes or shipping. The giveaways are open to residents of Canada over the age of 18 except where prohibted by law, unless otherwise specified. All giveaways end on August 10th at midnight; winners will be chosen randomly and notified via email. Raincoast Books is a fantastic local book company with great shipping and a great selection of Canadian and international books. 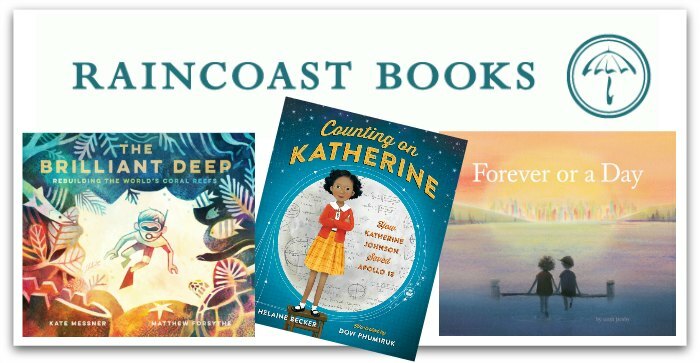 If you’re looking for fun summer reads for yourself or your kids, check out my Raincoast Books reviews. 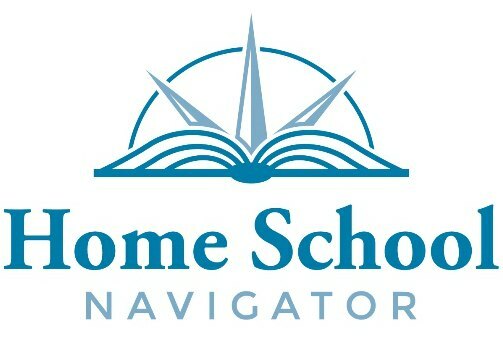 One lucky worldwide winner will receive a 1-year subscription to Home School Navigator for their child. Pure Hazelwood is a Canadian company that specializes in anti-inflammatory hazelwood jewelry. We used one of their hazelwood necklaces to help treat Jade’s eczema. Their latest product is an adorable baby teething mitten. 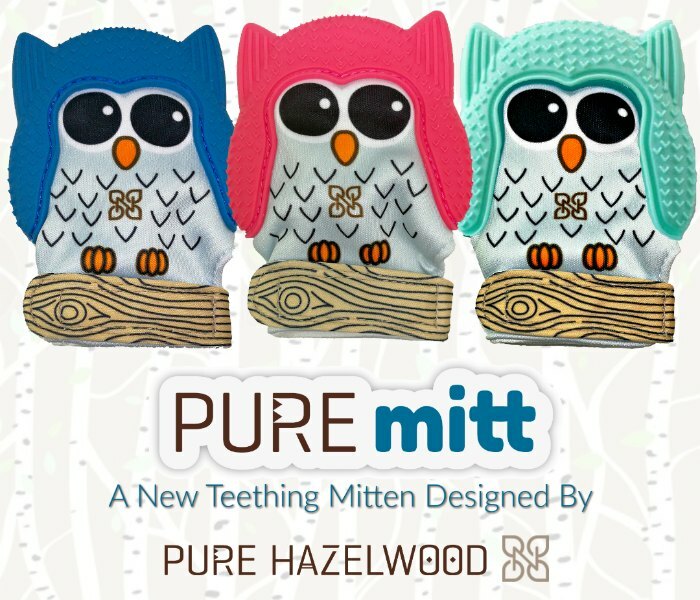 One lucky Canadian winner will receive a Pure Hazelwood gift basket, including a teething mitten! Mia’s Moccs is a local Vancouver business, run by a mother-daughter team, that makes adorable, affordable baby moccasins! 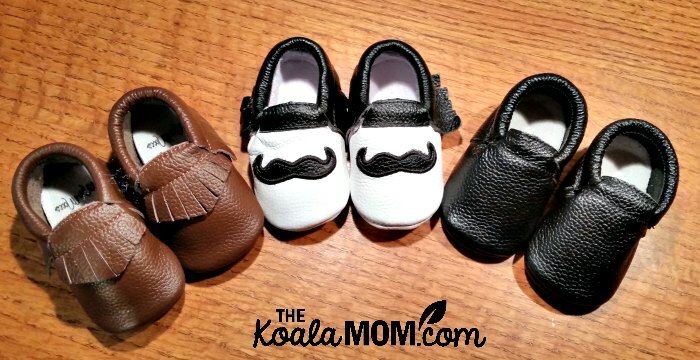 You can check out Joey’s baby moccasins (he gets so many compliments on the moccs with mustaches!). 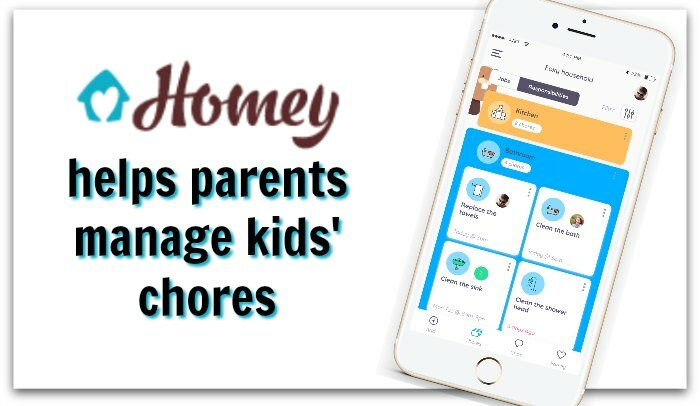 Homey is an app that helps parents manage the household work, including kids’ chores. I’ve been using this app to help keep track of who is doing what around the house and encourage the girls to help out more. TWO lucky worldwide readers will win a 1-year subscription to the app. Homey is also sponsoring our Facebook party, so join us online for more chances to win! 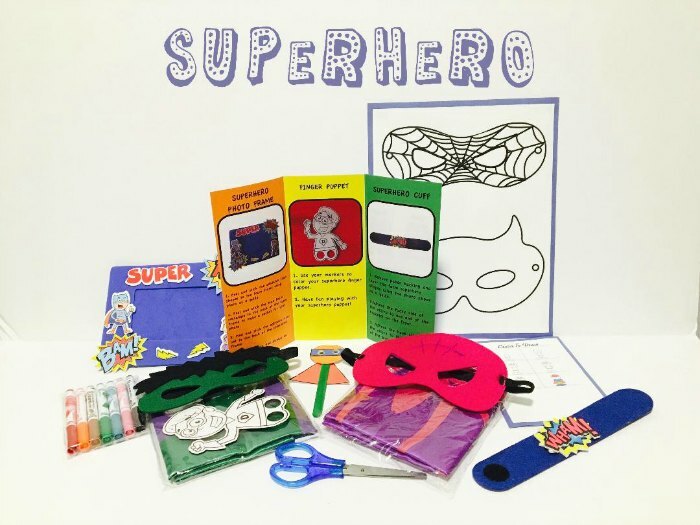 My FUNvelope is a kids’ subscription service that delivers fun crafts and STEM activities to your door. Sunshine, Lily and Jade had fun doing the superhero-themed FUNvelope earlier this year. One lucky Canadian winner will receive a My FUNvelope to explore and discover! My FUNvelope is also sponsoring our Facebook party, so join us online for more chances to win! Viemere is a local Vancouver business founded by a mom of two when she couldn’t find stylish maternity clothes during her first pregnancy. 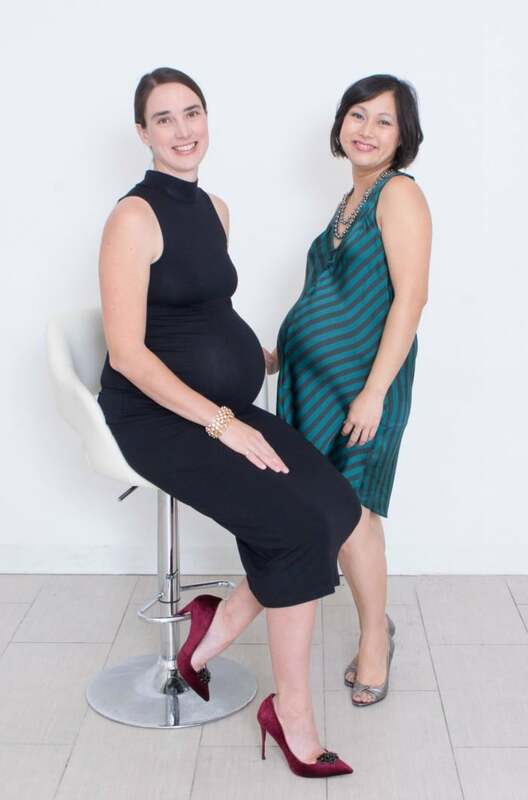 I met Joyce Lau when we were both expecting our last babies and had the privilege of modeling some of her gorgeous clothes. One lucky Canadian winner will receive a $50 gift card to spend at Viemere! Boiron manufactures homeopathic remedies for the whole family. Check out my YouTube unboxing video to find out about some of my favourite remedies and how we use them! 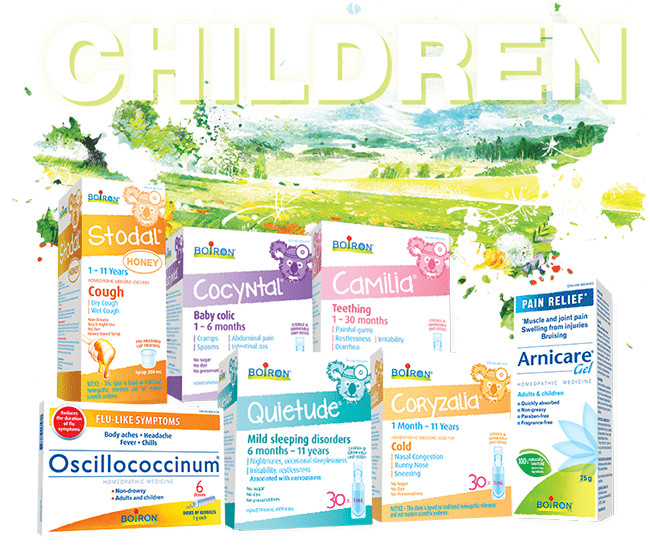 One lucky Canadian winner will receive a Boiron Children’s Essentials gift basket including Stodal Honey, Cocyntal, Camilia, Oscillococcinum, Quietude, Coryzalia and Arnicare Gel. 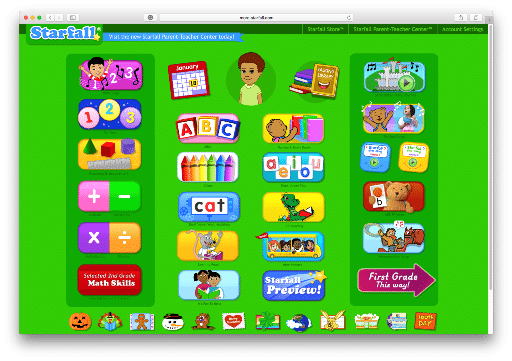 Starfall is an educational app for children from preschool to elementary school. Pearl asks to play Starfall at least once a day and can now sing her alphabet and count to ten, thanks to the games in the app! SIX lucky worldwide winners will receive a 1-year subscription ($35 value) from Starfall for their child! Momzelle is proud to offer stylish, comfortable and quality maternity and nursing clothes. I love their breasfeeding attire, including the Madison Nursing Dress (perfect for summer! ), the Ella (a classic little black dress for breastfeeding moms! ), and the Alice (a comfy, stylish nursing top). One lucky Canadian or American winner will receive a CAD$50 gift card to spend at Momzelle! 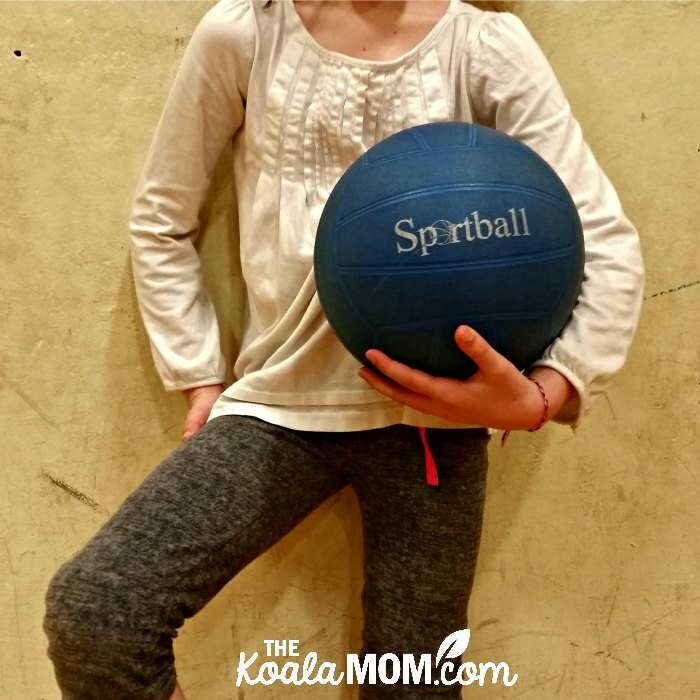 Sportball teaches kids how to have fun while playing sports. Lily and Jade did a Sportball summer camp this year and LOVED it; now Jade wants to take floor hockey lessons and Lily is interested in volleyball. One lucky Vancouver reader will receive a free season of Sportball multi-sport classes (valued at $90). 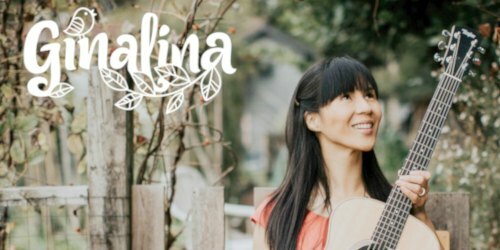 Ginalina is a bilingual Juno-nominated and Western Canadian Music Awards Winner creating fun and sophisticated children’s music that is rooted in real family adventures. We’ve the pleasure of catching her in concert with Will Stroet and at Leading Moms. One lucky Canadian winner will receive 5 of Ginalina’s CDs. She’s also sponsoring our Facebook party on August 10th, so join us there for more chances to win a collection of her wonderful music! So many great giveaways but I’d sure like the 5 CDs from GinaLina Music, thanks for the chance! My favorite giveaway is the Boiron Essentials Gift Basket I really love their products! My favourite giveaway from #Bloggersfete is the Instax SQ6 camera! I really want one! I don’t think I can pick one favourite… Top 3 are Vtech Smart Watch / One-Year Starfall Subscription / Playmobil. There are so many great sponsors! Thanks to the bloggers and the sponsors. Looking forward to the Facebook Party tomorrow! That is pretty cool! My girls had fun with it. 🙂 Good luck! This is huge, thank you for all the hard work! I love learning about new mommy brands. I’m 30 weeks pregnant so I’m constantly looking into all the great companies out there that will help me with my baby. I/m celebrating my 9th today as well!